The Rustic Table: Well, shoot. I thought it was a successful egg fetching. Sometimes they crack in my hand as I pick them up. But I heard a little pop from my pocket as I carried it to the house. 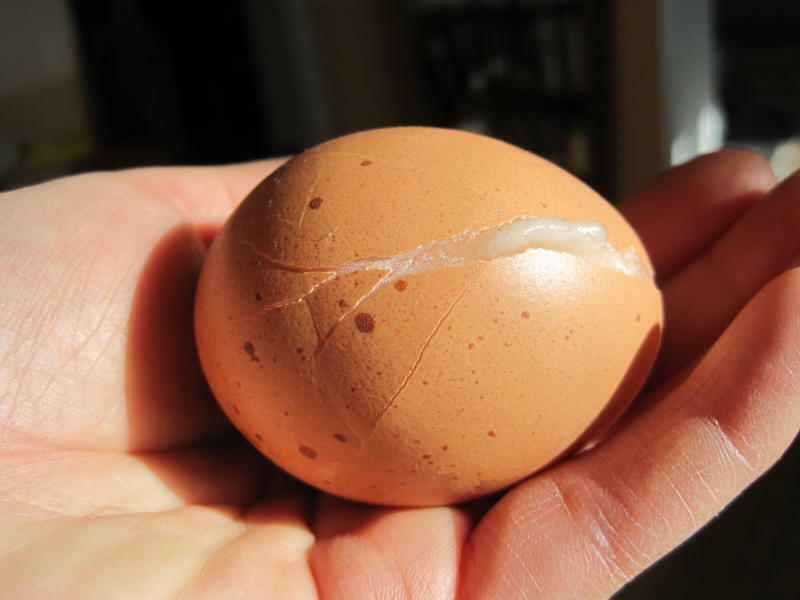 It’s not an easy time of year for eggs. Not easy for the hens to produce them. Not easy for us to get them in time even with a kind hen keeping them warm. But it keeps the pigs happy.